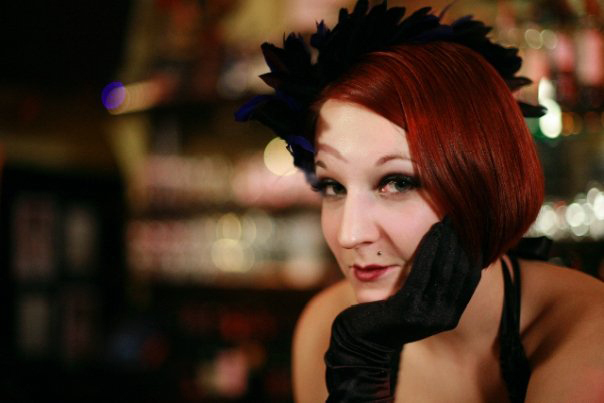 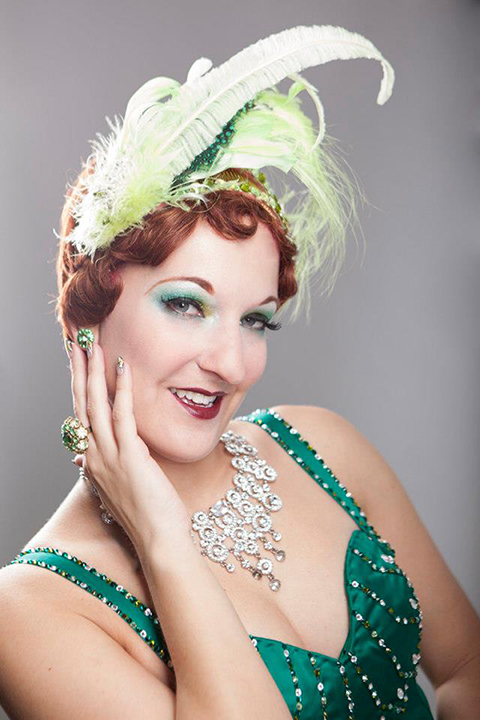 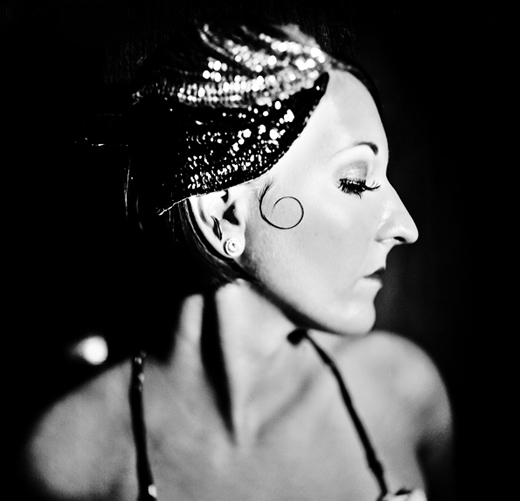 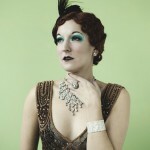 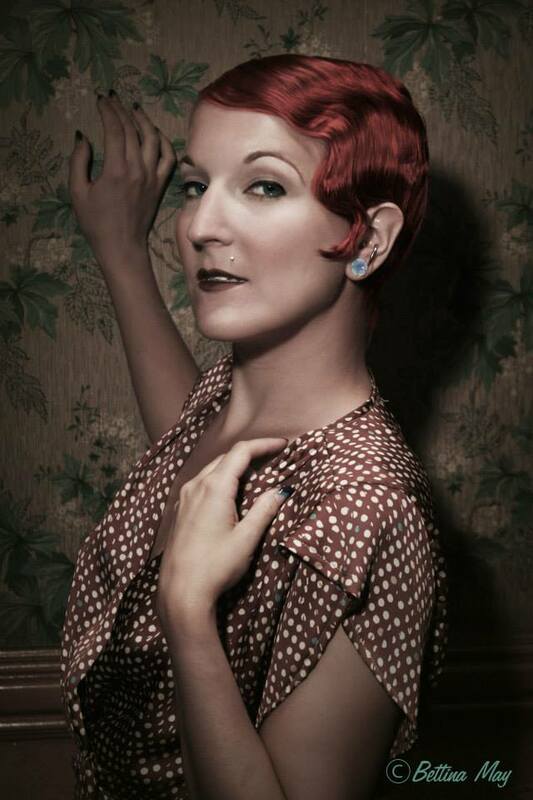 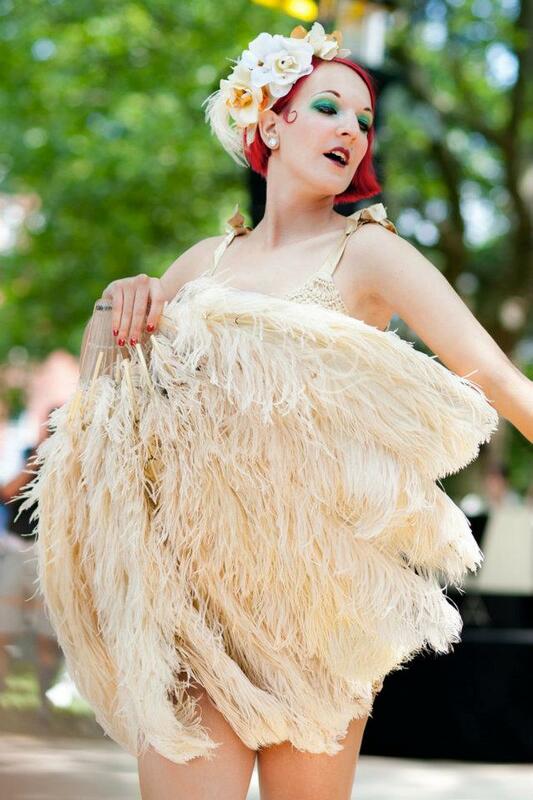 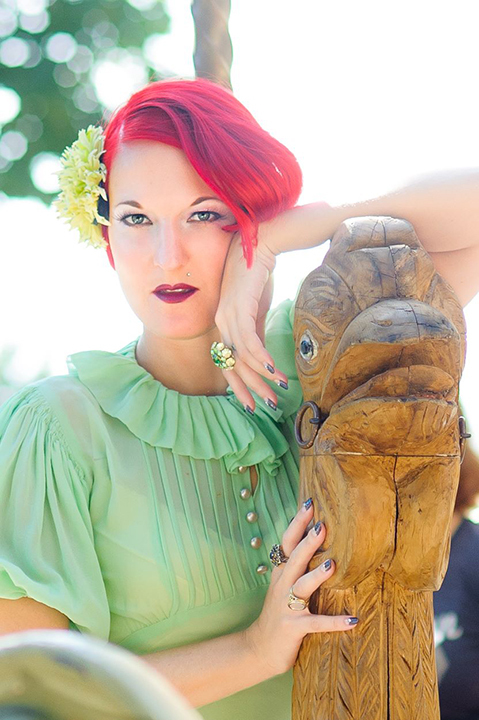 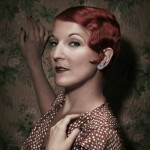 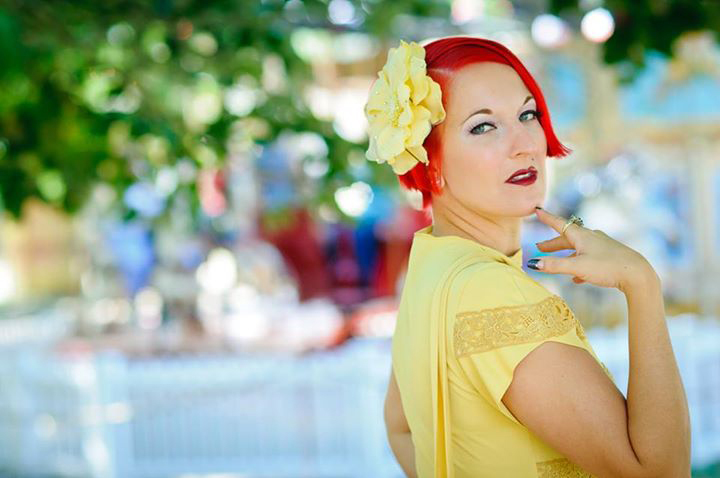 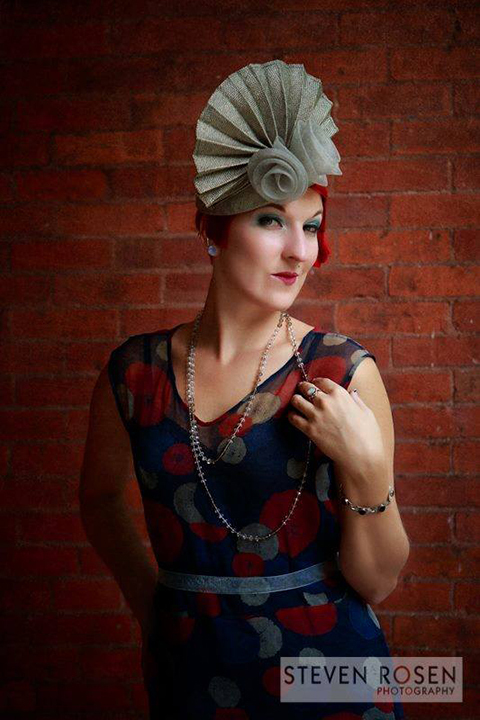 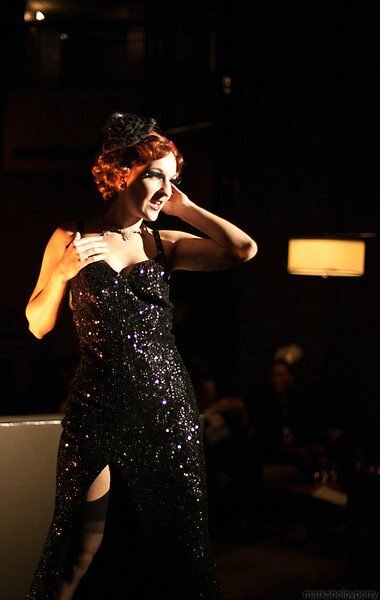 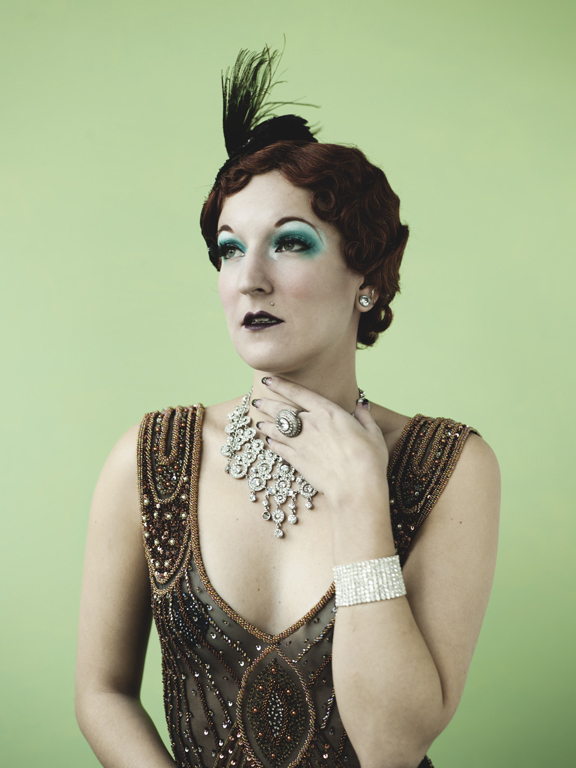 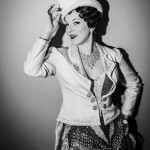 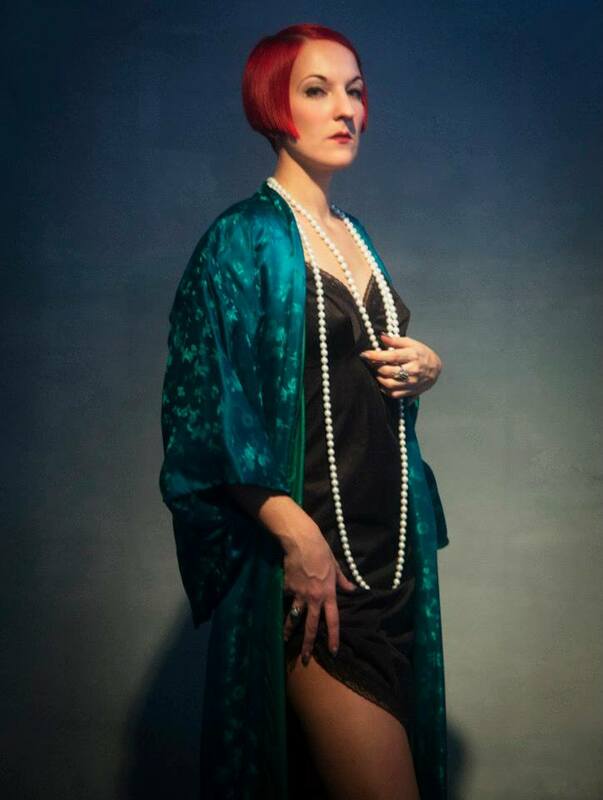 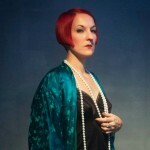 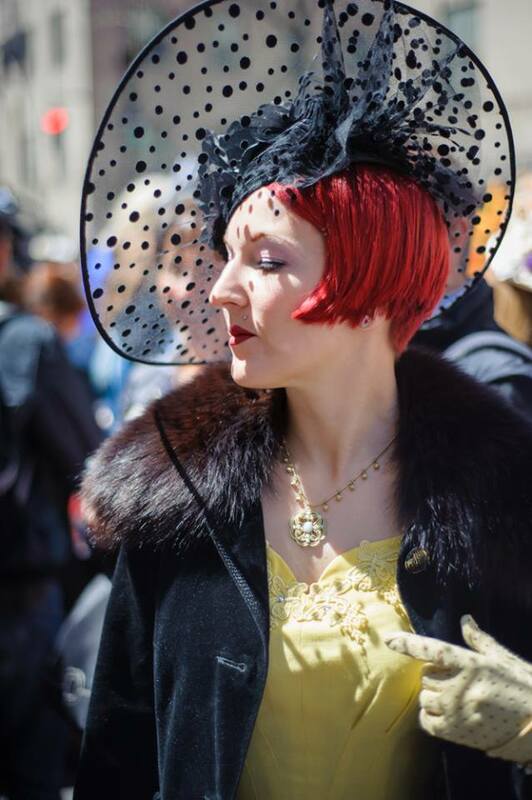 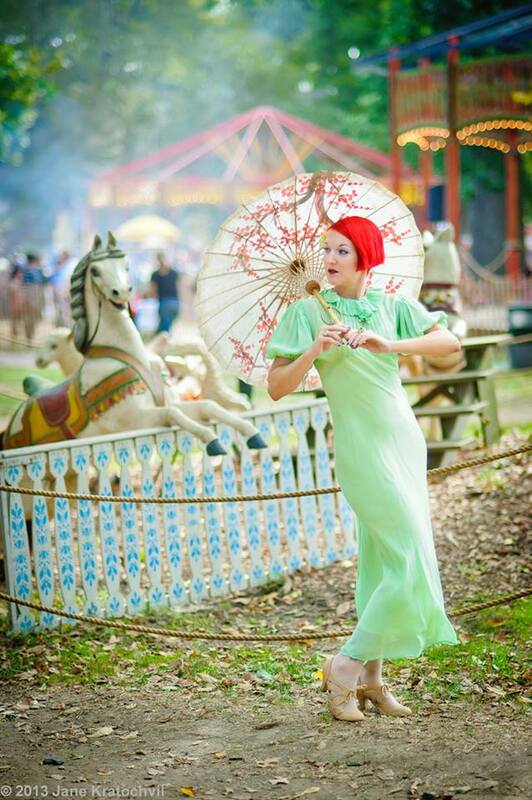 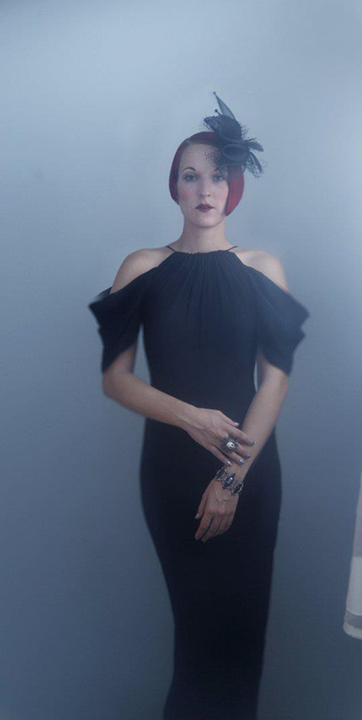 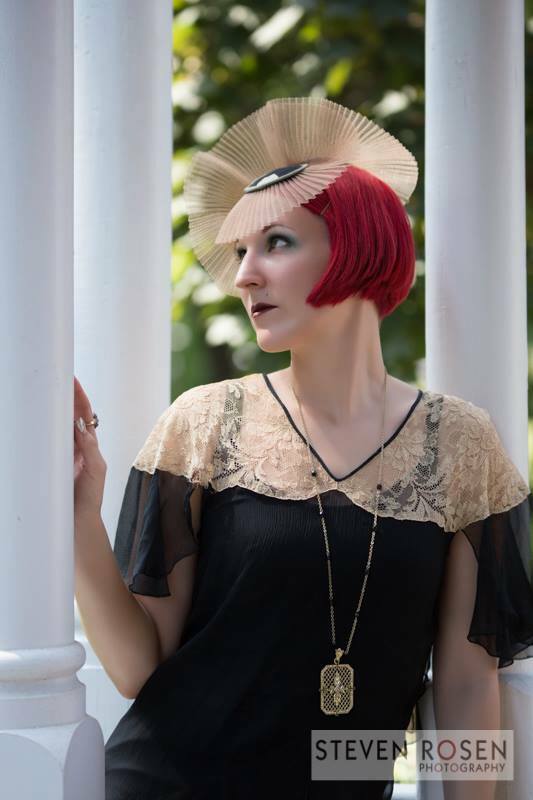 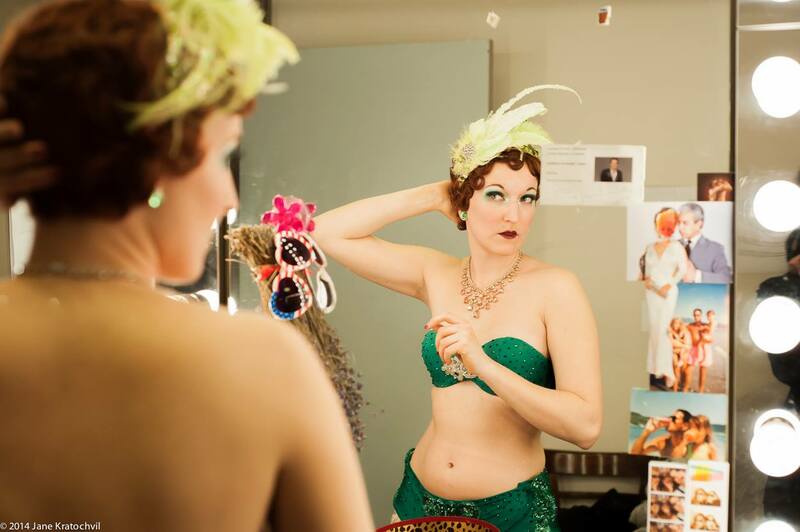 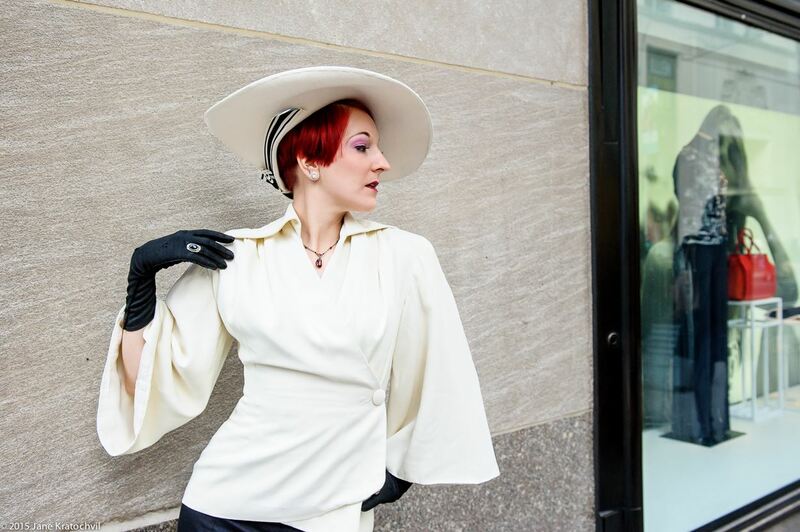 For almost a decade, Gin Minsky has been known as NYC’s premiere tap and burlesque performer, event producer (Jazz Age Lawn Party on Governors Island, Champagne Riot, Webster Hall’s East Ville des Folies,) and go-to gal for all things Jazz Age. 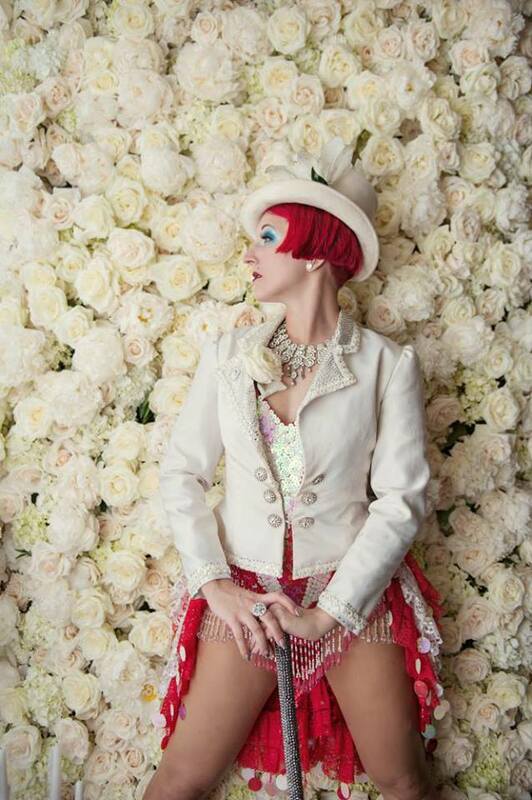 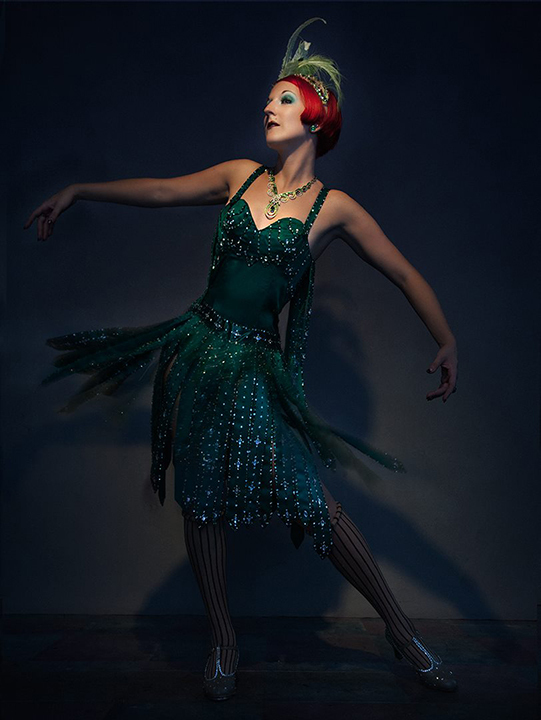 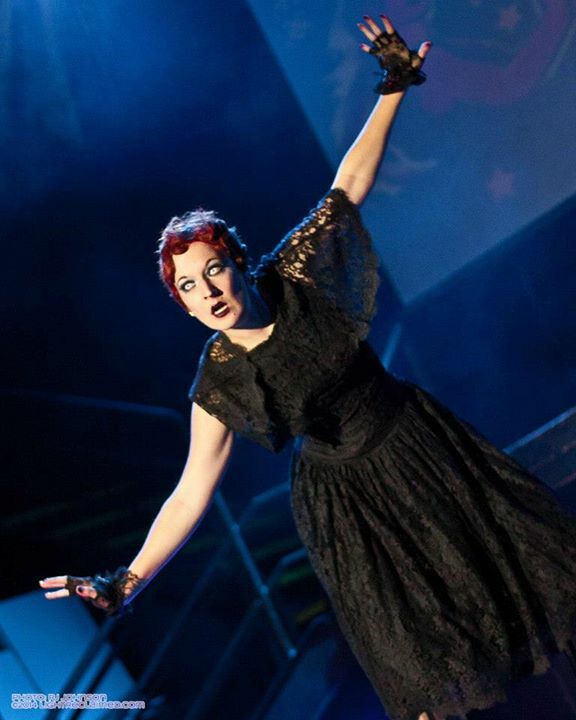 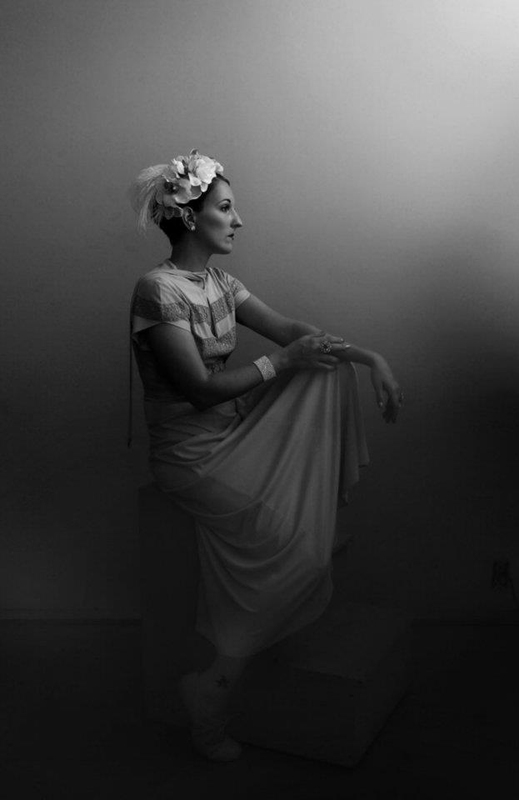 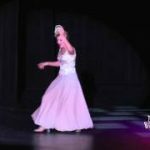 Classically trained in jazz, ballet, pointe, tap and modern, her performances include a varied spectrum of performative dance acts and are suitable for a wide range of venues from cabaret clubs to upscale concert halls. 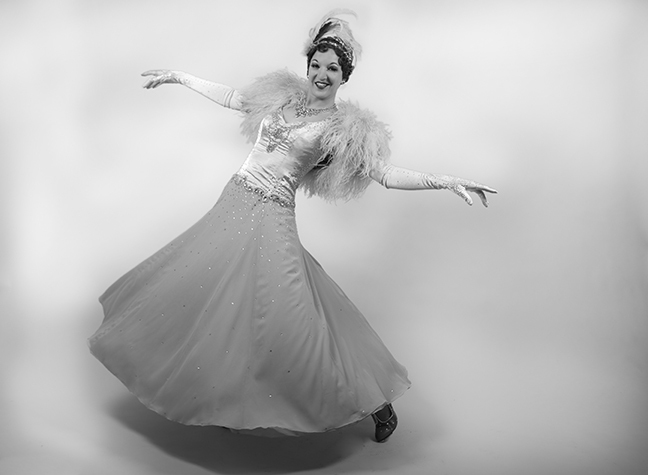 Gin Minsky first hit the stage with taps on her feet at the tender age of five and has continued to dazzle and delight audiences across America. 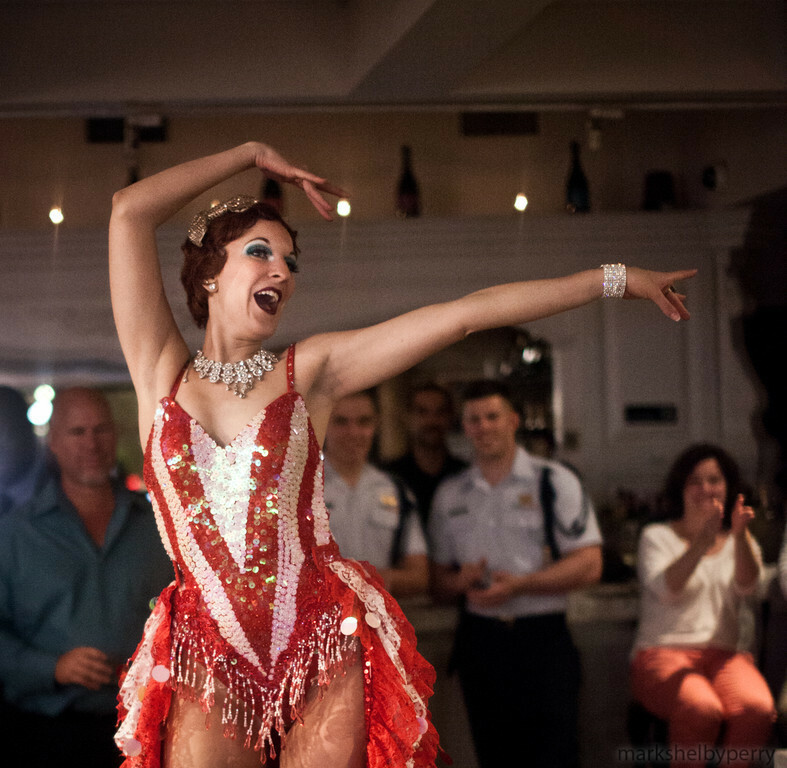 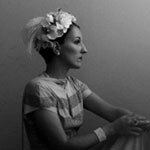 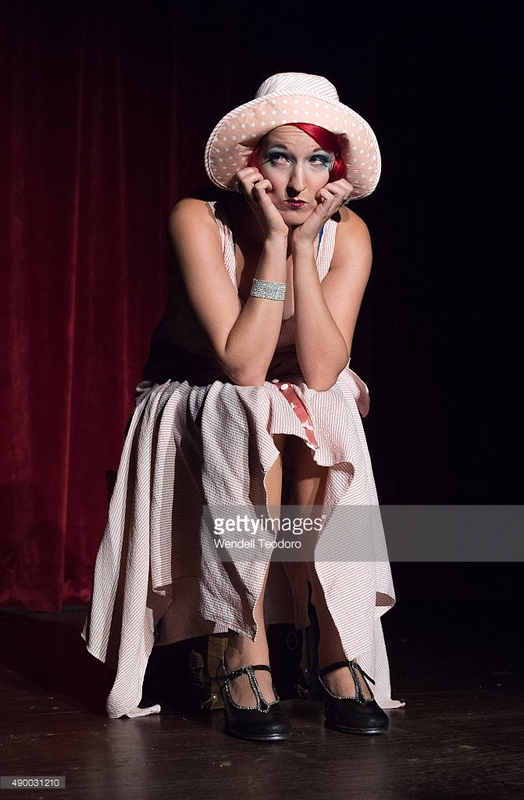 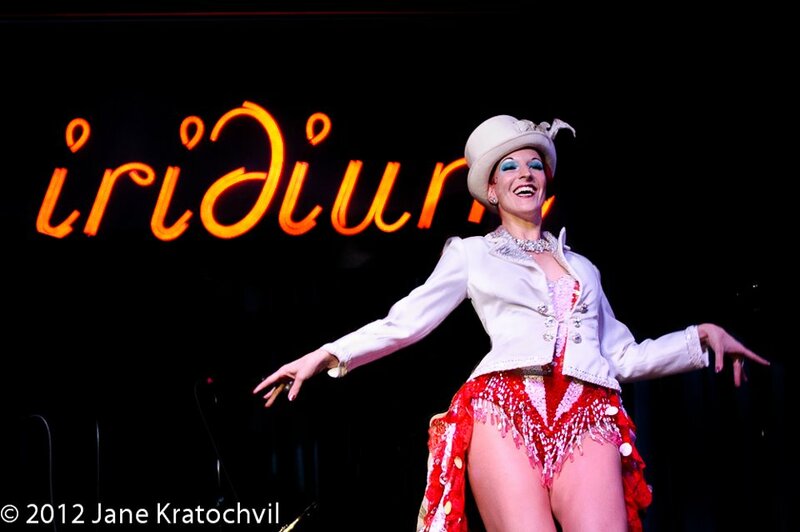 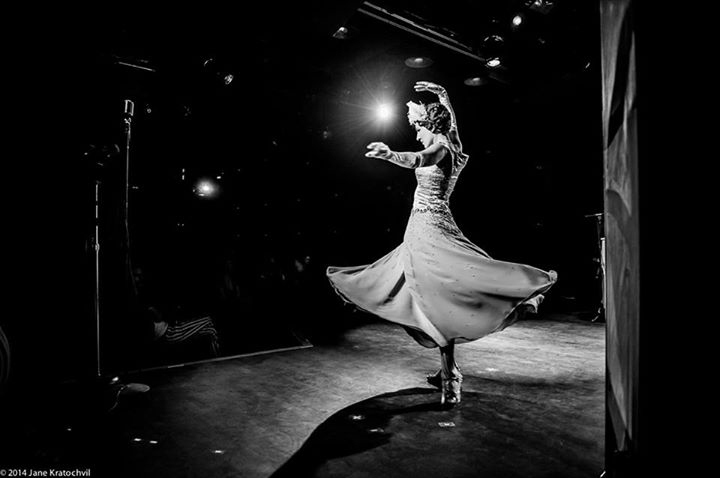 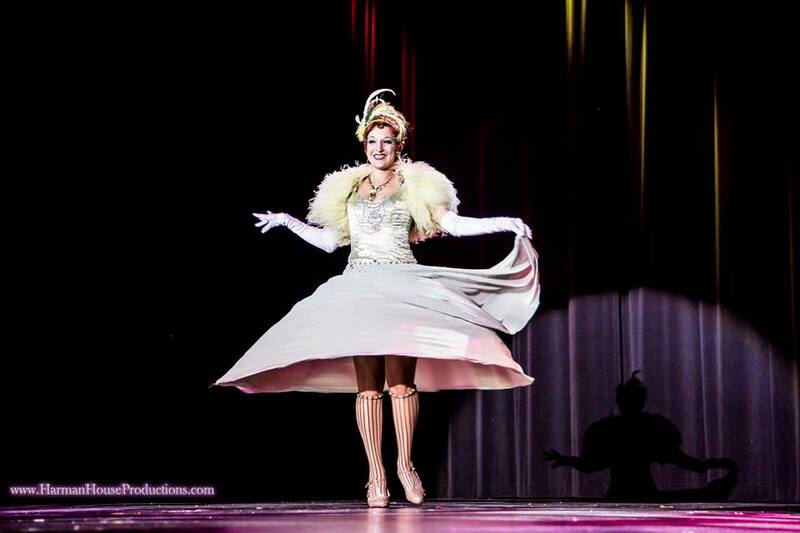 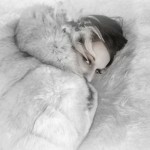 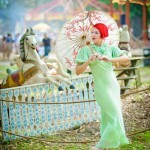 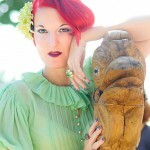 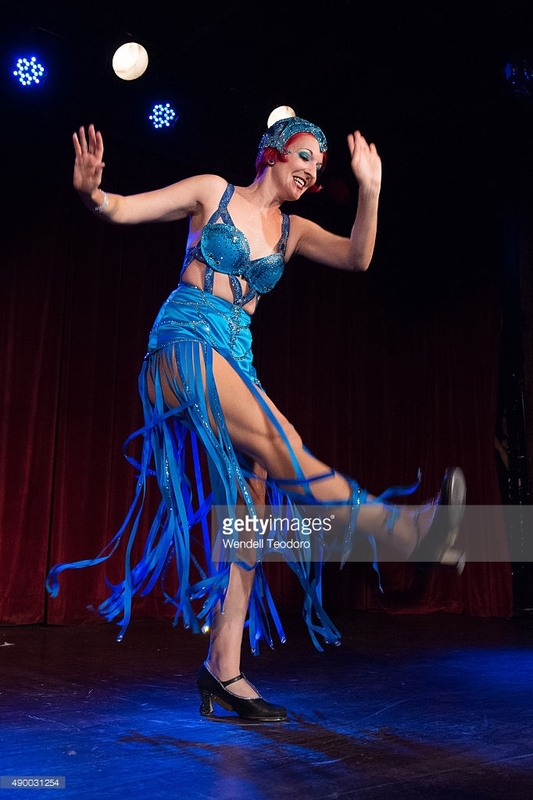 By blending skill, creativity, technique and charm, she has become known as one of the top tap and burlesque performers performing at notable venues including the Philadelphia Museum of Art, P.S. 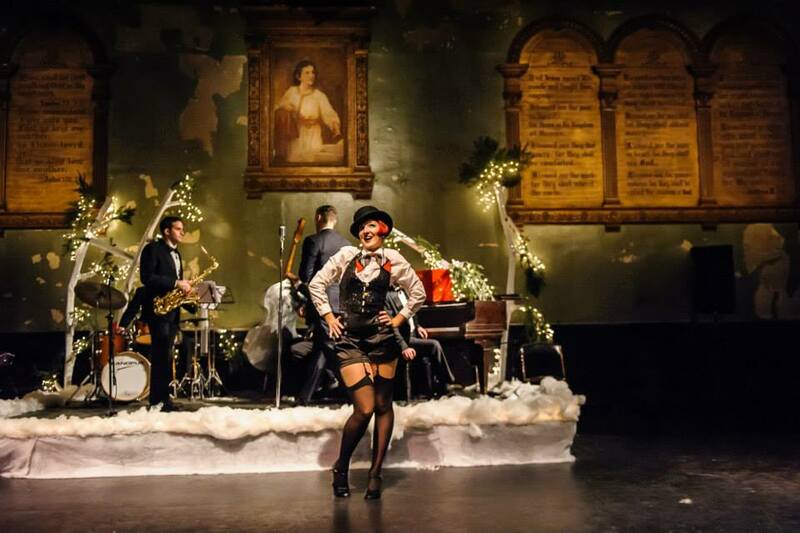 122, Joe’s Pub, Iridium Jazz Club, McKittrick Hotel, Copacabana, The Darby, Highline Ballroom and Webster Hall. 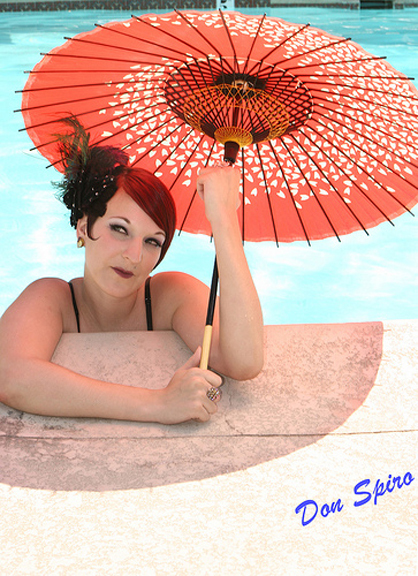 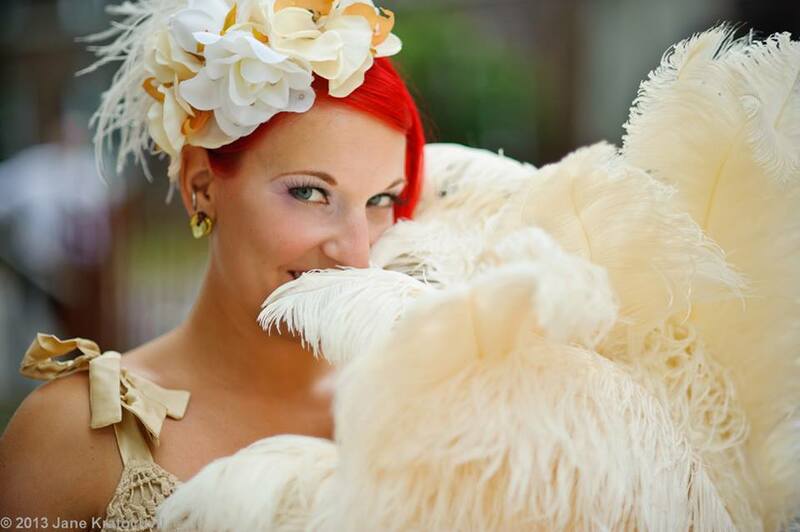 A regular at NYC’s Jazz Age Lawn Party and Dances of Vice, Gin has also been a featured performer at the NYC Food & Wine Festival, The Salon and the 2015 Burlesque Hall of Fame Weekend in Las Vegas. 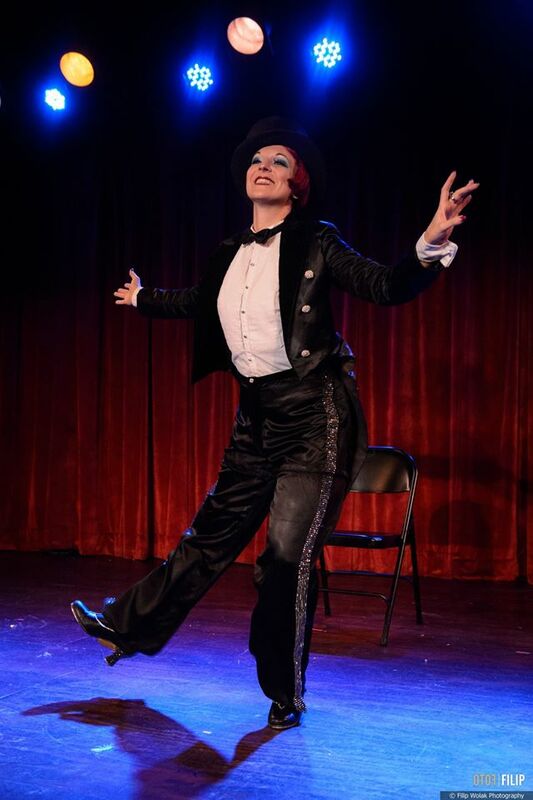 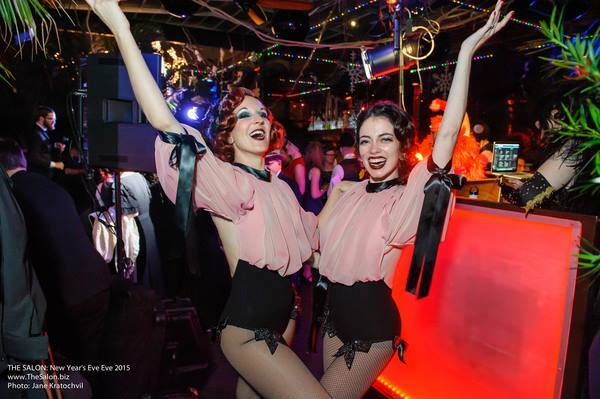 Accomplished as a solo performer, Gin can also be found partnering with dance legend Roddy Caravella, the Champagne Riot’s Dandy Wellington, and as one half of the Minsky Sisters with Kristen Minsky. 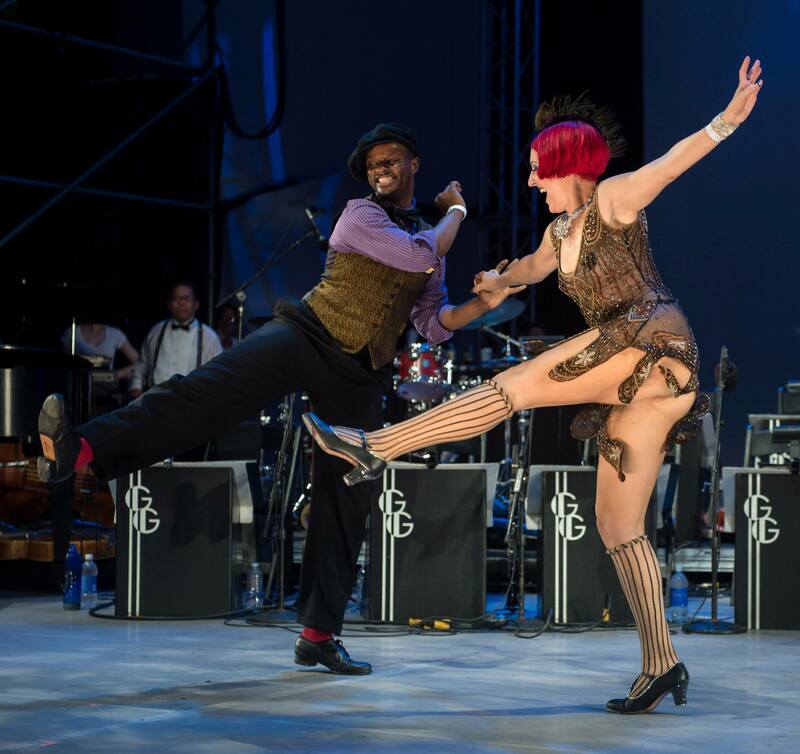 Tapped into all things jazz, Gin has produced numerous Jazz Age inspired events and has been one of the main organizers of the Jazz Age Lawn Party on Governors Island for seven years. 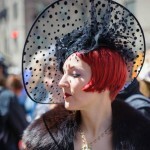 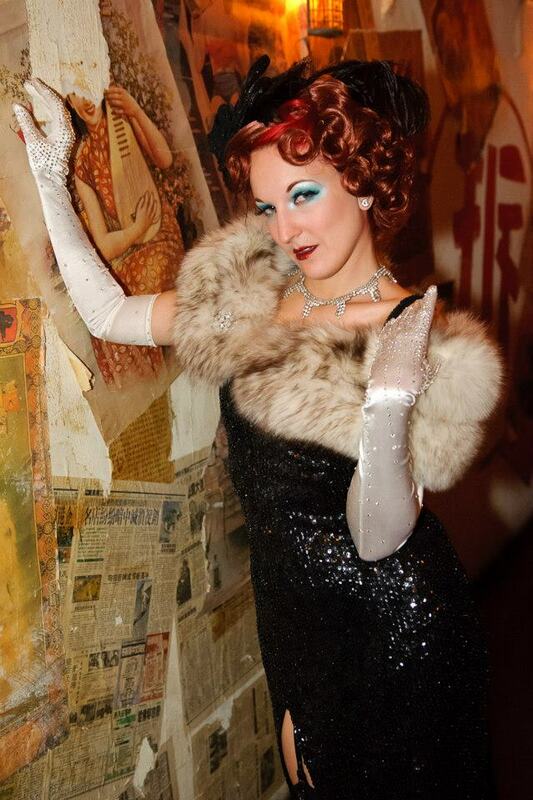 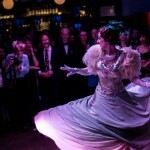 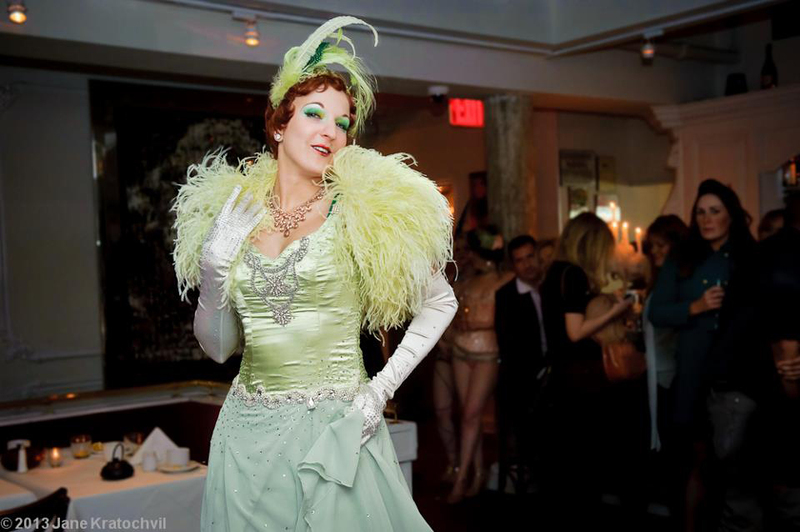 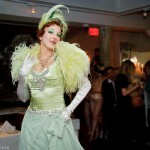 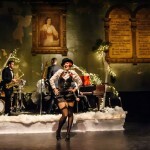 Gin is also the creator of the Champagne Riot – a vintage celebration that serves up an intoxicating cocktail of Hot Jazz, Scintillating Burlesque and Vaudvillian Frivolity – as well as talent producer for Webster Hall’s annual East Ville des Folies. 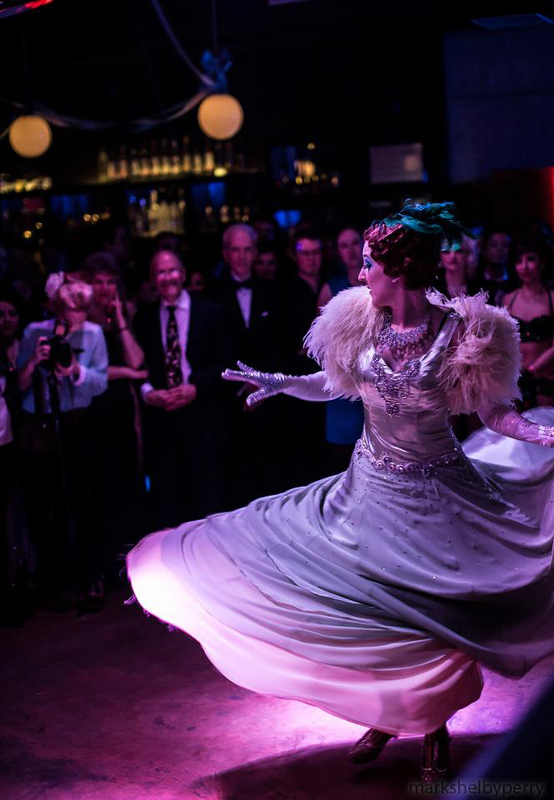 Working on all aspects of event production, Gin can make sure your next event is buttoned up with tails out from pre-production to performance! 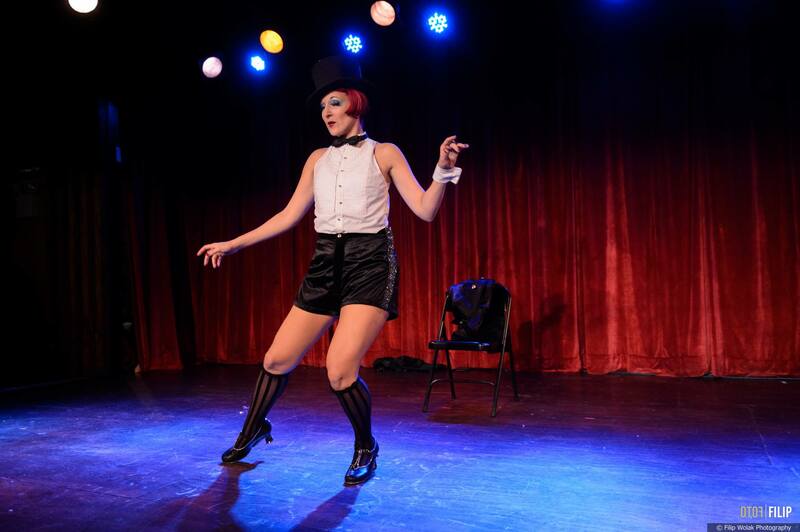 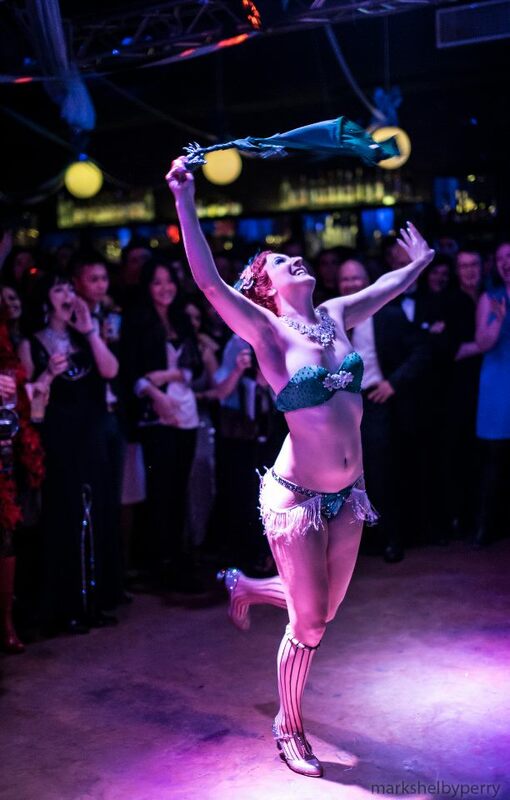 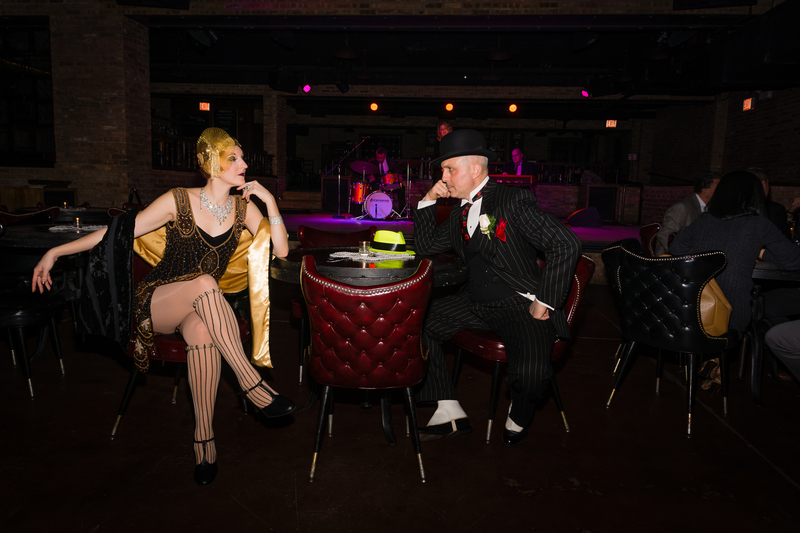 Gin Minsky is a prolific performer with over 30 acts, which incorporate 1920s-era jazz dancing, tap dancing and her notorious “tap and strip.” Have an idea for your event? 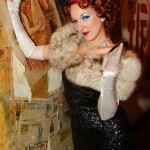 Gin can tailor an act to fit your ideas. 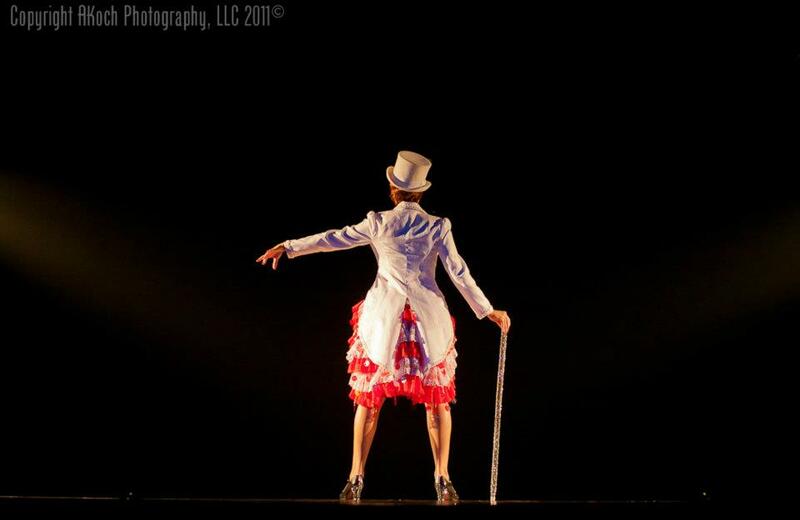 Below are just a small sample of some of her acts. 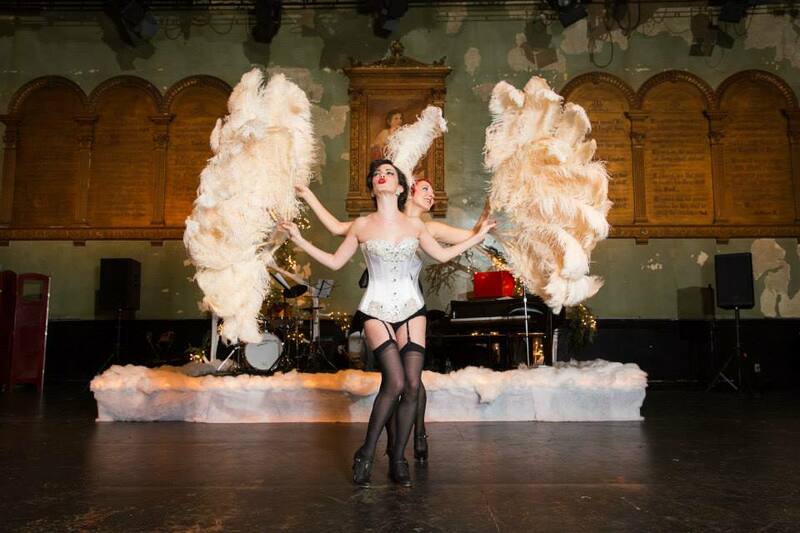 A high energy tap-and-strip, with costume reveals paying tribute to the tappers of the Silver Screen: the classic top hat and tails of Fred Astaire, the cuffs and high-waisted shorts of Eleanor Powell, and the fabulously fringed high-cut leotard of Ann Miller. 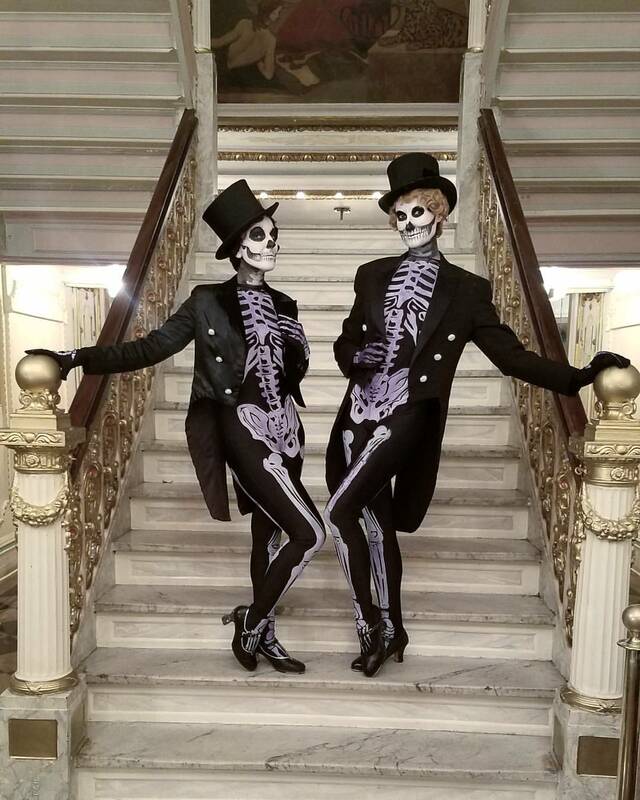 Just wait until you see this costume reveal! 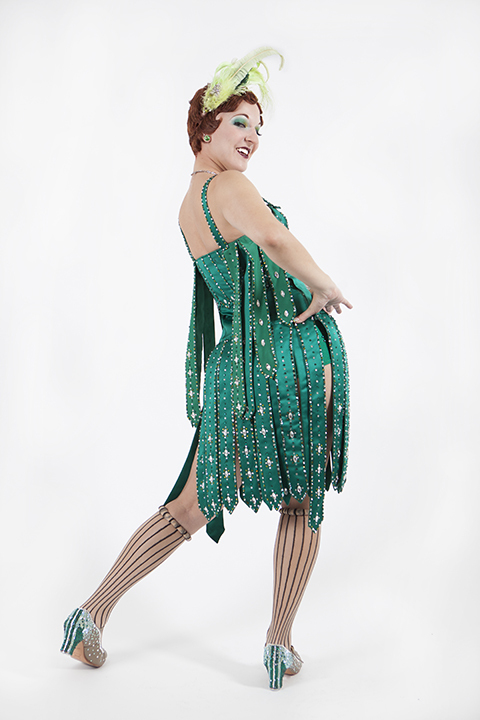 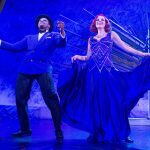 The act begins with high energy tapping-flapper realness, then like magic, the short dress transforms into a glittering floor-length royal blue ball gown, and that’s when things start to smolder on stage. 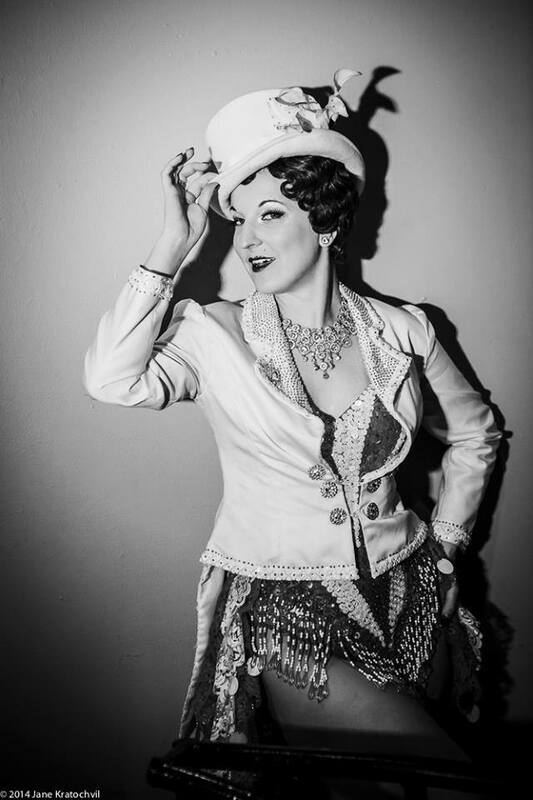 From Clara Bow to Ginger Rogers. 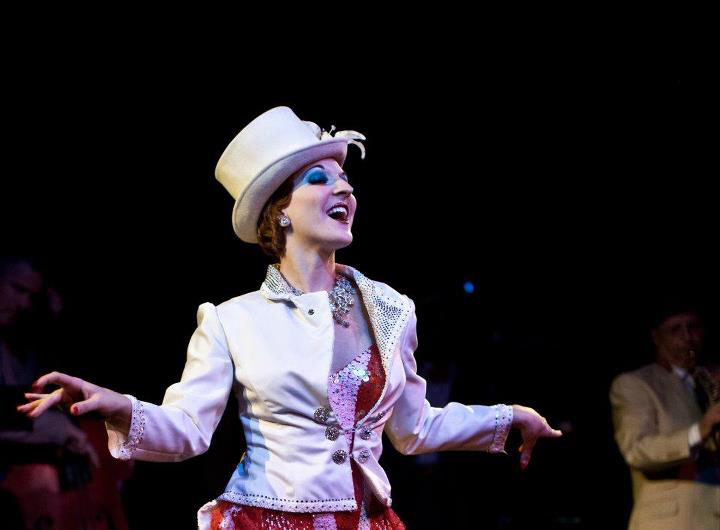 You’ll have to see it to believe it. 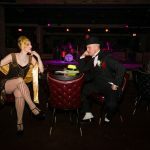 After waiting around for a train that is taking too long to arrive, Gin becomes impatient and kicks over her suitcase. 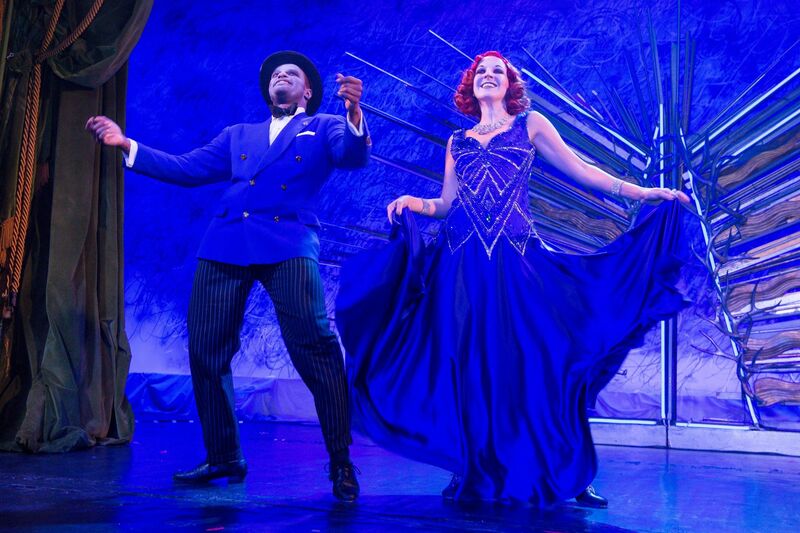 Soon, she realizes she can pass the time by tapping on top of the case, eventually getting swept up in the moment and tearing off her travel clothes to reveal gorgeous blue deco costume straight out of the Ziegfeld Follies. 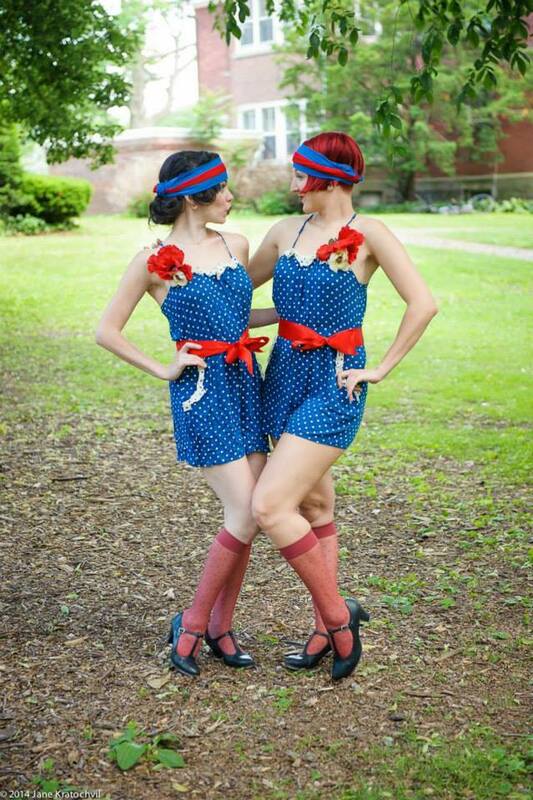 That’s what everyone wears when traveling, no? 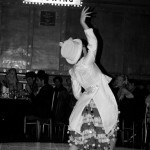 An ode to the dancing ladies of Old Hollywood. The act begins with a twirling Ginger Rogers-esque ball gown and ends with the tap dancing frenzy in the iconic dress of Cyd Charisse – a true 1920s delight. 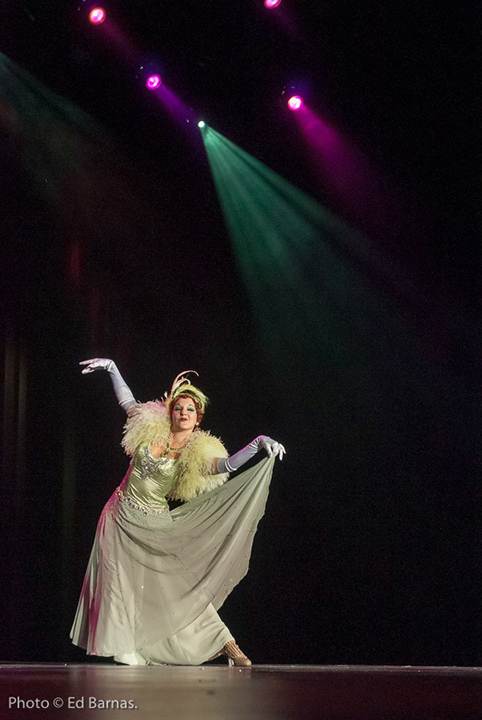 This act is sure to get audiences on their feet every time! 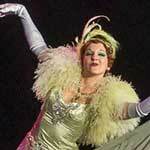 A tribute act to the late Diane Naegel. 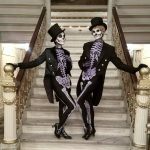 A high energy tap dance to the New Orleans funeral march “When the Saints Go Marching In.” A spectacular celebration of life! 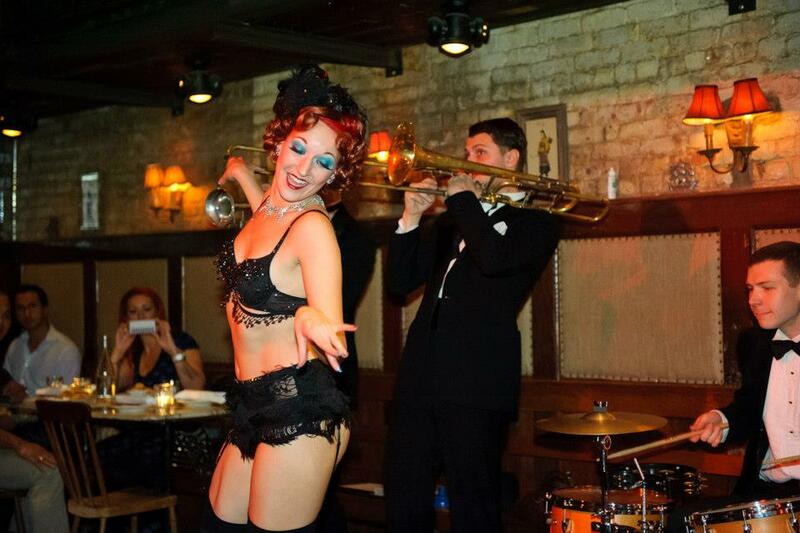 An ode to one of Tex Avery’s most infamous illustrated ladies, complete with the Big Bad Wolf. 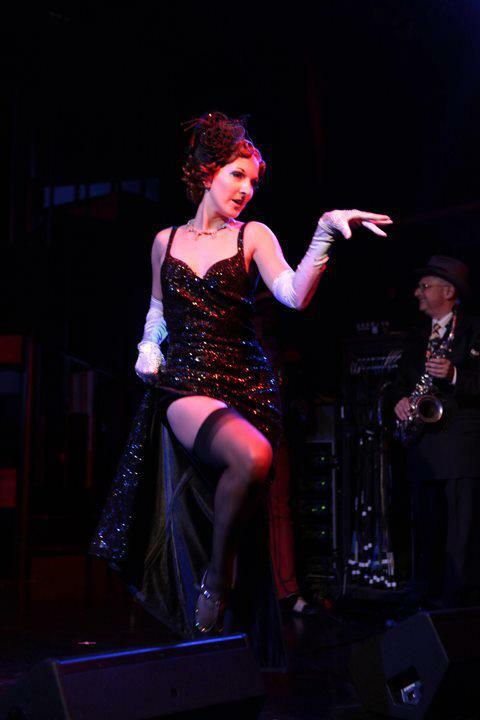 A slow and sultry 1930s glove and gown peel that finishes with an explosive tap and drum solo. 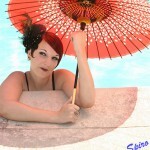 And now for something a little different! 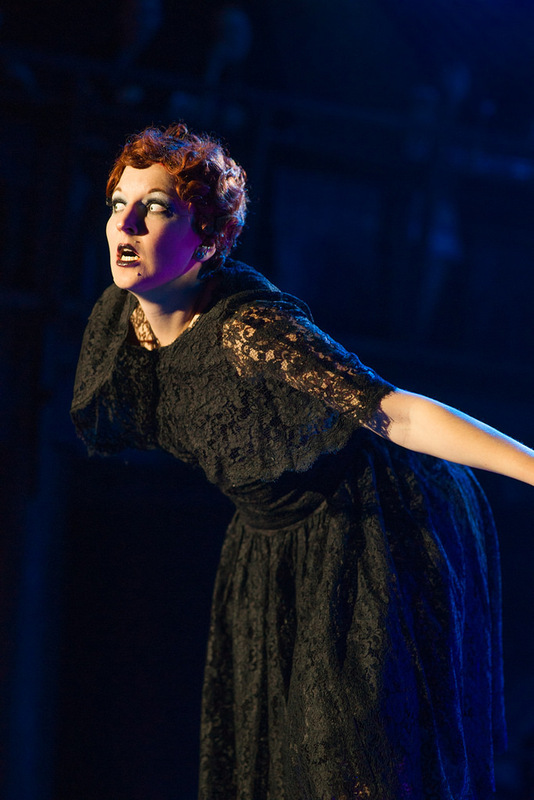 A dark act for Halloween or any other spooky occasion. 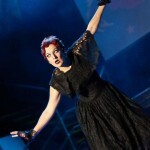 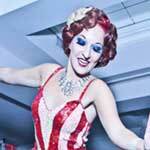 After being dragged out on stage blindfolded, Gin goes into convulsions revealing white eyes and possession. 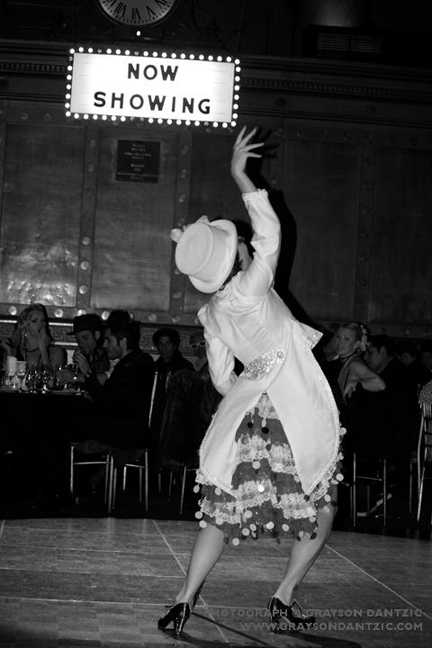 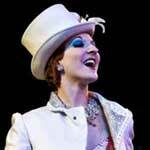 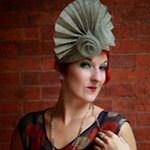 Gin also works alongside several performers to create engaging and exciting partner acts. 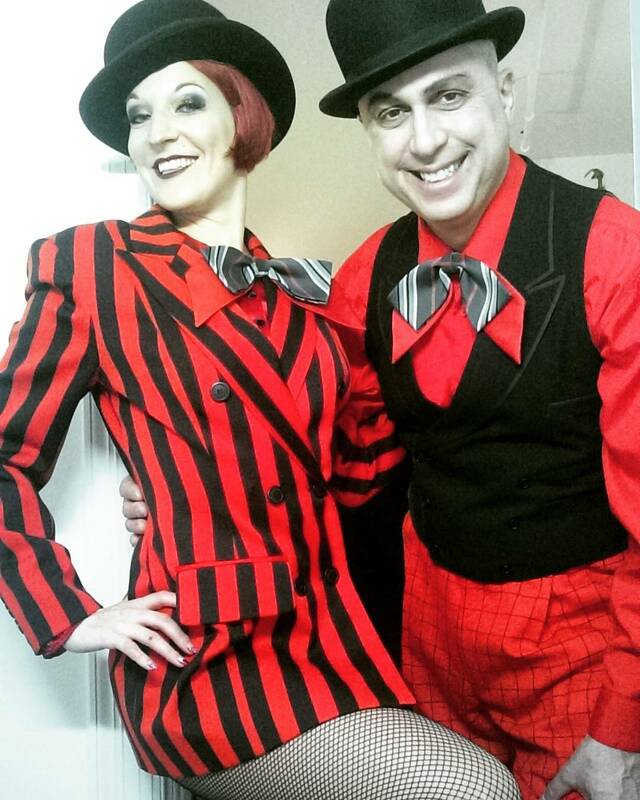 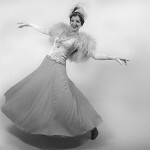 Acts range in styles from tap dance, jazz dance, swing dance and burlesque and are suited for all occasions. 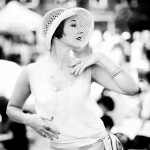 A video interview “sisters from another mister” at the 9th annual Jazz Age Lawn Party. 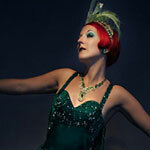 All website images courtesy of Jane Kratochvil, Adrian Buckmaster and Carla Ten Eyck.